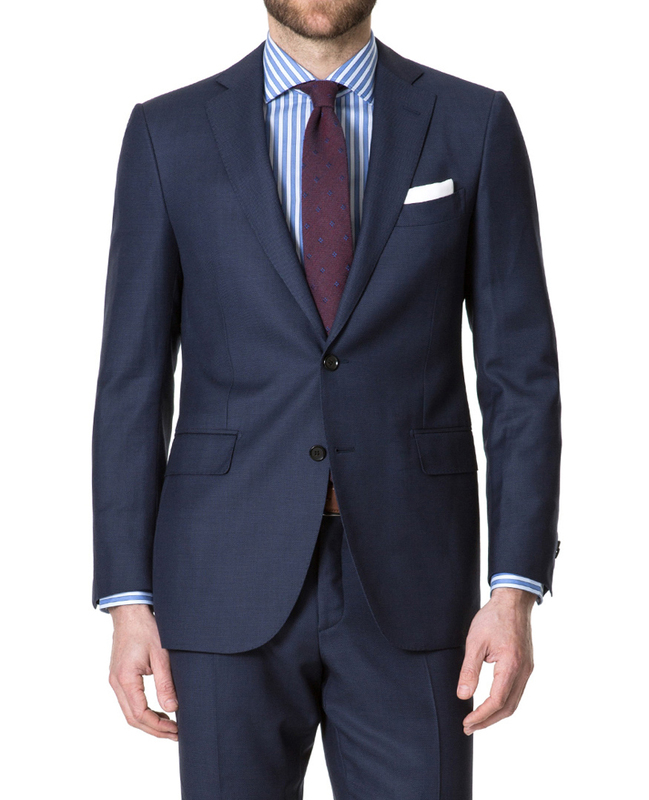 Cut from pure wool from the Italian mill Marlane, this perennial blue jacket is a stylish choice for the office and special occasions alike. Cut in our elegant regular fit, this jacket features a full canvas construction with hand set sleeves. Accompanying flat front trousers available separately.